Since the public release of Alpaca’s commission-free trading API, many developers and tech-savvy people have joined our community slack to discuss various aspects of automated trading. We are excited to see many have already started running algorithms in production, while others are testing their algorithms with our paper trading feature, which allows users to play with our API in a real-time simulation environment. When we started thinking about a trading API service earlier this year, we were looking at only a small segment of algo trading. However, the more users we talked with, the more we realized there are many use cases for automated trading, particularly when considering different time horizons, tools, and objectives. Today, as a celebration of our public launch and as a welcome message to our new users, we would like to highlight various automated trading strategies to provide you with ideas and opportunities you can explore for your own needs. Please note that some concepts overlap with others, and not every item necessarily talks about a specific strategy per se, and some of the strategies may not be applicable to the current Alpaca offering. (Time-series) momentum and mean reversion are two of the most well known and well-researched concepts in trading. Billions of dollars are put to work by CTAs employing these concepts to produce alpha and create diversified return streams. The fundamental idea of time-series forecasting is to predict future values based on previously observed values. Time-series momentum, also known as trend-following, seeks to generate excess returns through an expectation that the future price return of an asset will be in the same direction as that asset’s return over some lookback period. Trend-following strategies might define and look for specific price actions, such as range breakouts, volatility jumps, and volume profile skews, or attempt to define a trend based on a moving average that smooths past price movements. One of the simple, well-known strategies is the “simple moving average crossover”, which buys a stock if its short-period moving average value surpasses its long-period moving average value, and sells if the inverse event happens. Mean-reversion is the expectation that the future price return of an asset will be in the opposite direction of that asset’s return over some lookback period. One of the most popular indicators is the Relative Strength Index, or RSI, which measures the speed and change of price movements using a scale of 0 to 100. For the purposes of trying to assess the likelihood of mean-reversion, a higher RSI value is said to indicate an overbought asset while a lower RSI value is said to indicate an oversold asset. Trend-following and mean-reversion strategies are easy to understand since they look at a single asset’s time-series and try to make a prediction about that asset’s future return, but there are many ways to interpret the past behavior. You will need access to historical price data and may benefit from an indicator calculator library such as TA-lib. Virtually every trading framework library, including pyalgotrade, backtrader, and pylivetrader, can support these types of strategies. In the U.S. stock market, there are more than 6,000 names listed on the exchanges and actively traded every day. One of the hardest problems in stock trading (and also true for global cryptocurrency trading) is how to pick the stocks. Cross-sectional momentum compares the momentum metrics across different stocks to try to predict the future returns of one or more of them. Even if two stocks such as Facebook and Google are indicating a momentum breakout, this may be driven by the market, but you try to beat the market by taking stronger momentum between those signals. Same for mean reversion. The point is that we consider the market movement that drives each individual stock and consider the relative strength of signals across stocks in an effort to produce a strategy that will outperform the market. This tends to be more computationally heavy, since you need to calculate the metrics with potentially tens to hundreds of time-series. Again, for this type of strategy libraries like TA-Lib may make it easier to calculate the indicators. Also, you may need simultaneous access to multiple symbols’ price data. IEX’s API can provide up daily bar data for up to 100 stocks per query. This is one of the simplest automated trading strategies and it is widely used by many investors. The idea is to invest a fixed amount of money into an asset periodically. You may doubt it, but some research indicates that this works in the real world, especially long-term. The logic behind it is that price fluctuates many times, and you may buy the stock cheaper overall compared to just investing in the stock at one point in time. Remember, all of you who contribute to your 401k account are basically doing this. However, you might never think about doing it yourself, simply because there has been no easy way to automate this process. Now with Alpaca trading API, it’s much simpler and provides much more flexibility. Market makers are important intermediaries who stand ready to buy and sell securities continuously. By doing this, they provide much-needed liquidity and are compensated for their inventory risk primarily by capturing bid-ask spreads. Market making used to be done primarily by humans, who worked as floor traders in the pits, but now it’s almost entirely performed by machines. As exchanges have become more and more electronic, the strategy market makers employ has naturally required automation. 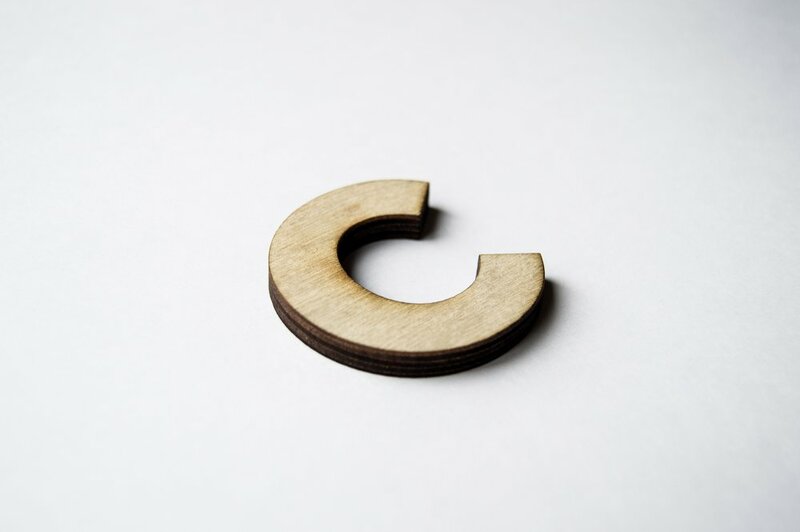 There are a variety of approaches to market making but most typically rely upon successful inventory management through hedging and limiting adverse selection. Some market makers may have very tight exposure limits and seek to turn over their positions quickly with the goal of being flat at the end of each day. Others may operate on a much longer horizon, carrying a large and diverse portfolio of securities long and short indefinitely. Undoubtedly, for any market maker, speed helps. The speed of calculation allows the market maker to continuously update its pricing and portfolio risk models, while the speed of execution allows the market maker to act on its models in a timely manner in an effort to reduce adverse selection and get better pricing on its hedges. Competitive market makers need high-resolution data and a low latency infrastructure, although typically the longer their trading horizon is, the less sensitive they are to these things, and a smart but slow model goes a long way. Also, in order to process vast amounts of data quickly and handle concurrency, languages like python may not be suitable. Go/Rust would be a good choice for balance between ease of concurrency handling and processing speed, as well as functional languages like Erlang/OCaml or good old languages like C++. Lots of day traders develop their trading strategies based on a mechanical set of conditions that are first based on intuition. Since manual day trading involves continuously assessing market conditions and making discretionary trading decisions on the spot, it can often be very physically and emotionally draining. Because the strategies are based on some rules or heuristics which can be codified, it is natural to think they can be automated, which is likely the case. One of the very well-known day trading strategies is the gap-up momentum strategy. Suppose between the previous market close and next market open there is a positive earnings report. The market opens with a big gap, drawing lots of traders’ attention, and the price keeps going up for a while in the morning (but may not continue for long). This strategy seeks to capture this follow-through momentum. The challenge here is that not all gap-up stocks keep going up, and among a handful of screened stocks, you need to watch each one’s price action simultaneously. Some traders may enter on a price breakout from a certain price resistance level, while others may wait to see a chart pattern form to determine the first bottom before going higher. Day trading often relies on analyzing the stock’s price chart and fine-tuning the algorithm to capture the price action can be tricky. That said, once it’s well developed, you are letting your bot trade on your behalf as if you were trading manually, and now you don’t need to monitor the markets and you can also monitor more stocks at the same time without any emotions affecting your trade execution, which is very compelling. The main thing you need for this is access to market data. You may not even need indicator calculations but instead, you may need a stock screening library such as pipeline-live. The latency typically isn’t so important, so you don’t need to write your system in C++. Python, as well as other lightweight languages, are likely sufficient. This is part 1 of 3 posts to overview the various types of automated trading strategies. Stay tuned for our next post to cover more. Just as Technology Transformed Institutional Trading on Wall Street, Now Retail Investing will be Transformed by Algorithms and AI That Automate Trading into Process that Can Easily Execute Thousands of Trades a Day. Company Also Closes Pre-Series A, Bringing Total Funding to $6 Million. San Mateo, CA — Oct. 23, 2018 — Alpaca Securities LLC (“Alpaca“), a Silicon Valley based API stock brokerage for developers and bots, today launched the world’s first commission-free trading platform where individuals can easily use algorithms, trading bots and artificial intelligence in their investing and trading activities. “Alpaca is going to transform stock trading by making available to retail traders all of the technology and science that has transformed institutional trading,” said Yoshi Yokokawa, CEO and co-founder of Alpaca, which is an SEC and FINRA registered broker-dealer. Alpaca has been notifying some in the trading and developer community of its impending launch and already more than 4,000 accounts have registered on a waiting list. The large number of accounts attracted to the Alpaca is another indication of the surge in interest in algorithms for trading over the past few years. Alpaca has also been working closely with QuantConnect, an algorithmic trading platform that enables investors to design, build and test quantitative strategies. QuantConnect serves over 65,000 quants from more than 170 countries, and its users have designed more than 1.8 million trading strategies. The QuantConnect integration makes it seamless for users to build algorithms, test them and then trade on Alpaca’s commission-free, automated platform. Quantopian, a platform where freelance quantitative analysts develop, test, and use trading algorithms to buy and sell securities has played a key role, and its community has nearly doubled year-over-year for the last four years. Quantopian’s community of more than 225,000 has run more than 9 million backtests on algorithmic trading strategies. Quantopian also builds and maintains Zipline, and Alpaca has built an integration to allow the Quantopian community to easily run algorithms with Alpaca’s commission free trading API. Current commission free trading platforms are built still expecting that all trades be executed via manual buy and sell orders. And they are not built to handle the repetitive and frequent trading that is automated by algorithms and artificial intelligence. On Alpaca, traders will be able to open an account, deposit money and then deploy their own algorithms or trading bots so that all stock transactions occur automatically. The technology Alpaca developed is already in use at institutions in Asia, including Mitsubishi UFJ Financial Group (MUFG), the largest financial institution in Japan. Alpaca is a Silicon Valley based API stock brokerage for developers and bots. Alpaca is dismantling the old system of stock trading that required investors to constantly monitor stocks and enter buy and sell orders manually by introducing a commission-free trading platform where individuals can easily use algorithms, trading bots and artificial intelligence. The company’s database and AI technology are already used by institutional investors in Asia. Alpaca is currently accepting users at https://alpaca.markets/. Securities are offered through Alpaca Securities LLC. One of the things many people have asked Alpaca during the beta program is how to run the algorithms that they built in Quantopian platform for their own purpose, not just for the contest. While Quantopian has built so much in the platform, they are so great to share the internal framework as open source zipline. Today, I wanted to share our newest open source libraries for Quantopian users; pylivetrader and pipeline-live. pylivetrader is a zipline API compatible trading framework in python which again focuses on live trading, with much less overhead and dependency problems. It is written from the ground up for live trading use cases, so it removes a lot of heavy lifting that zipline had to do such as price adjustment etc. This means, you don’t need to build your data bundle to kick off your algorithm in live, but instead you can just start your live trading from the Quantopian algorithm source right away. At the moment, the supported backend is only Alpaca, but we are happy to connect to IB etc. if someone contributes the code. 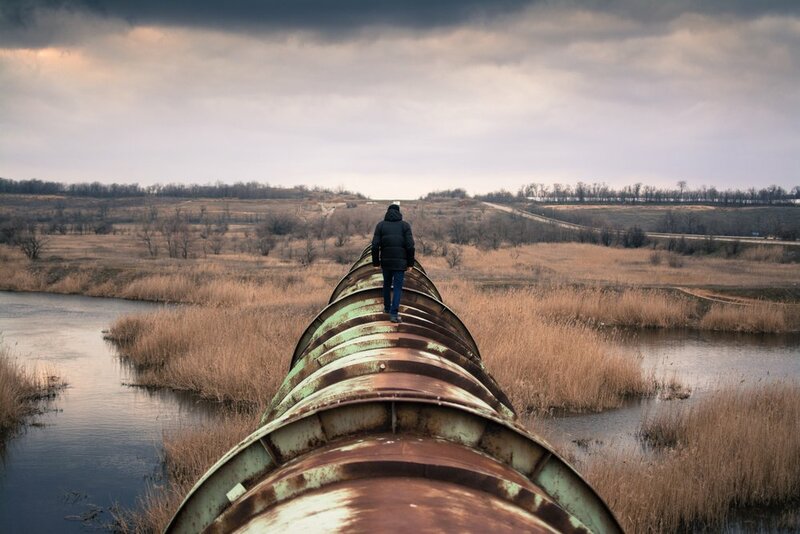 Pipeline API is the core piece of Quantopian algorithm framework that allows easy stock selection based on the different metrics, much in a pythonic way, and this differentiates the platform from others. I found Pipeline is providing a tremendous value when it comes to trading wide range of universe. Unfortunately, it is not so easy for most people to use this great feature outside of the Quantopian platform. pipeline-live is a python tool that allows you to do something similar anywhere so that you can do your research somewhere else as well as use it with existing python trading framework such as zipline-live or backtrader, including pylivetrader which I am introducing below. 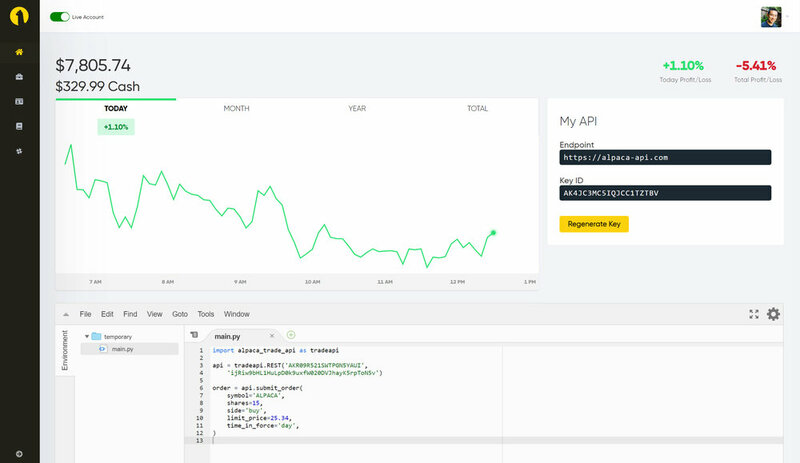 pipeline-live primarily uses IEX public API for pricing and basic fundamental information. As you know, IEX provides market-wide volume data for daily OHLCV which makes it a perfect choice for pipeline usage. Since pipeline-live focuses on live trading use cases, it does not provide historical view unlike inside Quantopian, but the upside is it is fairly independent and easy to use. It is also very extensible so you can hook up with other paid data sources if you would find useful. We also put some practices together about how you could convert your Quantopian algorithms to run in live trading. You may want to take a look at these documents if you are interested in. I also posted in Quantopian forum with the real example, and you may take a look at it, too. Feel free to give me any feedback/questions/criticism. Happy to help you get started with live trading with these tools too. And here is the example code migrated from the post above. Can Computers Time The Market? According to the Financial Times, several leading high-frequency trading houses, including DRW, Jump Trading, DV Trading, and Hehmeyer Trading have entered the crypto asset markets last year. Several newly-launched crypto hedge funds are also using algorithmic trading strategies to generate a return on investment for their investors. Dutch high-frequency trading house, Flow Traders BV, also recently made a move into the crypto markets, according to Bloomberg. The Amsterdam-based company is making markets in exchange-traded notes linked to bitcoin and ether due to strong investor demand for crypto investments. The consensus is that there will be a major “liquidity crisis” with huge selloffs in major asset classes, and no one to step in to buy. The losses will be exacerbated by the shift to passive management and the rise of algorithmic trading. JP Morgan says that the Fed and other central banks may even need to directly buy stocks, and there could even be negative income taxes. The bank thinks the crisis will hit sometime after the first half of 2019, most likely in 2020. Thomas Peterffy helped launch the electronic-trading revolution that transformed the US stock market. And while the billionaire hasn’t soured on automation, he’s taking a lead role fighting back against the speediest traders. Interactive Brokers Group Inc. announced Wednesday that it will list its shares on an exchange run by IEXNSE 0.06 %Group Inc., which was made famous by Michael Lewis in “Flash Boys.” The 2014 book documented the market’s efforts to use a 350-microsecond speed bump to eliminate advantages IEX believed the fastest traders had in US stocks. When shares of Interactive Brokers move over from Nasdaq Inc., it will be IEX’s first win in its delayed plan to list corporations. A Nomura index that mimics a trend-following strategy by chasing momentum in 10 EM currencies against the dollar has outperformed the JPMorgan Emerging Market Index by nearly 20 percentage points so far this year. Early forms of automated order entry provided the catalyst for what would become the foundational trading method of modern markets, but the development of algorithmic trading itself has been fascinating — and at times, controversial — evolution in listed markets. Wolverine Execution Services (WEX) has been at the forefront of broker-supplied algo. The closing of Prediction Company, which Millennium bought in 2013, came as a surprise to employees because the firm was profitable, according to a person familiar with the matter. The hedge fund was started by Doyne Farmer and Norm Packard, who are known for their seminal work in developing chaos theory, and managed about $4 billion at its peak. When working on a machine learning task, the network architecture and the training method are the two key factors to turning a set of data-points into a functional model. But where should different training methods be applied? How do they work? And which is “best”? In this post, we list up three types of training methods and make comparisons among Supervised, Unsupervised and Reinforcement Learning. Quant Investing: What are the dangers of the Black Box? The strong industry consensus is that computers caused that Monday afternoon “flash crash.” Algorithmic trading, where computers automatically pick stocks based on complex pre-programmed instructions, “definitely had an impact” on the market swing that day, according to U.S. Treasury Secretary, Steve Mnuchin. Even as the digitization of trading has evolved and blockchain changes the financial landscape, existing market models have been unimaginatively carried over to electronic asset exchanges and now crypto markets. As a result, technology gaps between traders remain economically significant while the current market design perpetuates (and in some cases exacerbates) problematic features of the former system. Citigroup has made three appointments within its electronic trading business, including two hires from rival Goldman Sachs, amid a surge in futures trading this year. Is a Slang programming job at Goldman Sachs a technology career-killer? If you work for Goldman Sachs, Slang is more than just the signifier of an informal word or phrase: it’s the bank’s very own programming language,devised by some of its most brilliant strats over two decades ago. However, depending upon who you speak to, Slang (short for Securities Language) is also a reason why working for the firm is a) incredibly interesting or b) a very quick way of ensuring you will never work anywhere but GS ever again. This requires human traders to tell quants and technologists how they do their job, which is a tense balancing act. “Clearly, there is going to be the feeling of, ‘Well, you’re just automating everything I’m doing, so what’s in it for me?’” says Ezra Nahum at Goldman Sachs. For starters it isn’t actually clear what machine learning actually is. The term conjures up images of artificially intelligent cyborgs poring over streams of financial data, coming up with novel trading strategies which they then test and modify — all without any human supervision. What Can The Crypto Robots Offer Us? Cryptos trading robots utilize our free time and let us think on a passive income that is quite rewarding for a good future. On the contrary, when we are too busy with our own work, it can free up our time and invest on our behalf. Today, the world is transforming towards automated fashion, including manufacture, cars, marketing and logistics. Personal investment is no exception. At Alpaca, we are pushing this boundary forward so everyone can enjoy the automated investment world. Overall, the ecosystem has grown so much lately, and many open sources and tools are available for you at low cost, without much equipment. QuantConnect is one of the most popular online backtesting and live trading services, where you can learn and experiment your trading strategy to run with the real time market. The platform has been engineered in C# mainly, with additional language coverage such as python. WealthLab is another C# platform where you can get the real time price and run your algorithm, if you have a Fidelity account. NinjaTrader and MultiCharts are also popular choices for different kind of assets with various broker options. In addition to these, StockSharp is an interesting open source project which is tailor for .NET algo traders and broker integrations. You should also check out Lean which is an open source library developed by QuantConnect, who also uses this library for their flagship service, supporting multiple assets such as stocks and cryptocurrencies. Deedle is probably one of the most useful libraries when it comes to algo trading. You would run some calculation using Frame and compare data, to get signals. TALibraryInCSharp is a great open source library that bridges TA-lib and .NET world, so that you can calculate common indicators such as moving average and RSI. Combining these libraries, you will get the power of trading tools. Now the question is data to calculate those signals on, but if you are talking about US equities, you can leverage IEX’s free data API and there are libraries like IEXTradingApi that makes your life easy for getting the data instantly. There are quite a bit of .NET libraries out there for proprietary data sources (e.g. for Quandl) too, so you should check it out. Don’t forget about Alpaca! We are committed to providing the best experiences for many algo traders, and today we are happy to announce that our official .NET client SDK for Alpaca Trade API has been released. Following our Python SDK, .NET SDK takes advantage of its robustness and high performance, as well as wide coverage of platforms. It is an open source project hosted in GitHub and the prebuilt package is up in NuGet. All the classes and methods are documented for IntelliSense so you can get the references right in your IDE. Here is a snippet of how easily you can place a buy order of a share of Apple. Alpaca Trade API covers not only retrieving account information and submitting orders, but also allows one to retrieve price and fundamentals information easily. For more details of API, please read our online documents.